Rubber Room Ramblings: NEW WEEKLY DEALS! 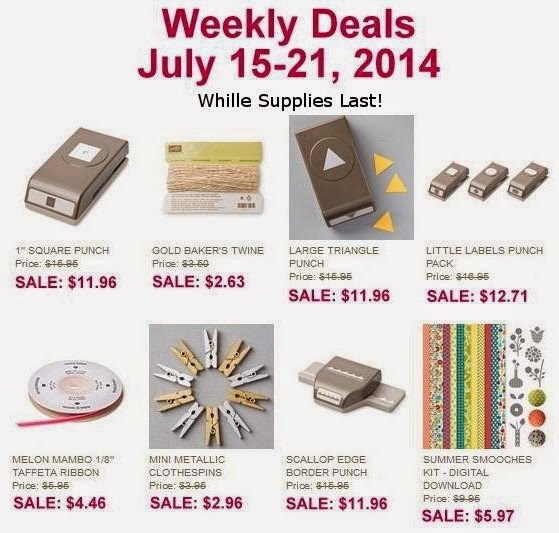 A new week, new Weekly Deals from Stampin' Up! There are lots of great deals this week at Stampin' Up! My favorites are the Triangle Punch and the Melon Mambo Ribbon. The Triangle Punch makes the Banner cards super easy and the Mambo Ribbon is just vibrant and happy. What is on your "must have" list? SCOOP UP YOUR SAVINGS HERE!